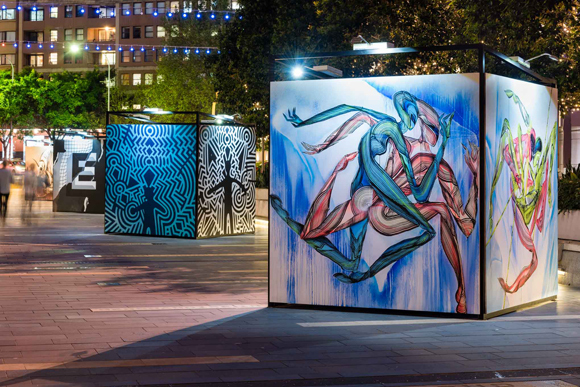 Launching in 2009, Project Five is Australia’s longest-running contemporary street art project and has raised over $100,000 for Australian not-for-profit arts initiatives, while at the same time commissioning 32 Australian artists, and entertaining millions of visitors. 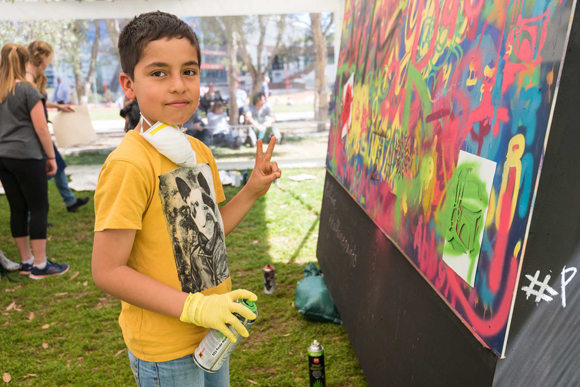 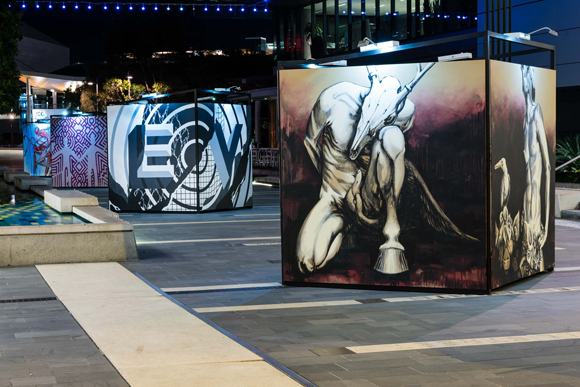 Comprising four distinct components – a public art exhibition, live art events, kids’ urban art workshops and the charity auction, Project Five was held at aMBUSH Gallery’s stunning pop-up exhibition space OPEN, located at Darling Quarter’s bustling Civic Connector. 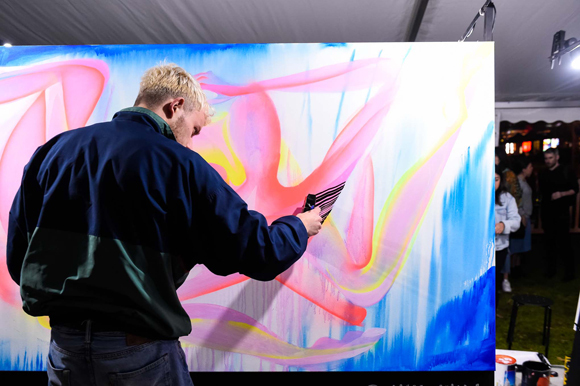 Volume 8 highlighted the blend of style and subject matter typical of each of the four chosen artists – Brett Chan, Georgia Hill, Kaff-eine and Shida. 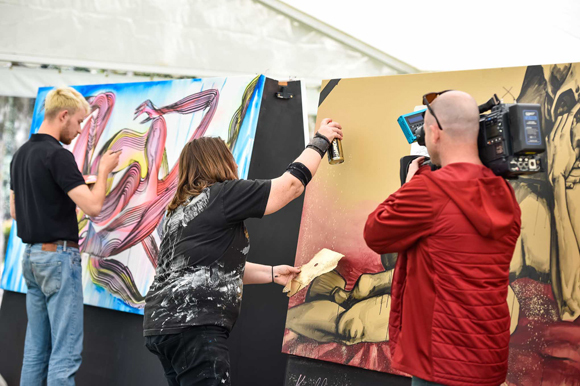 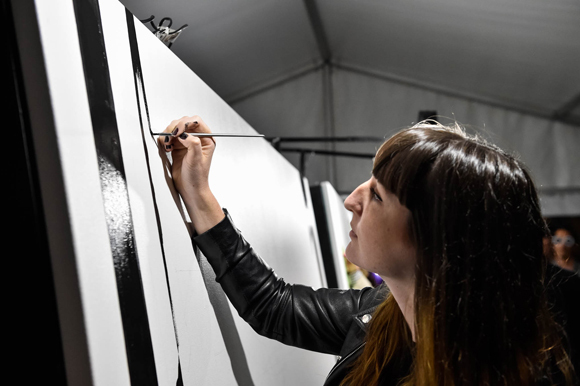 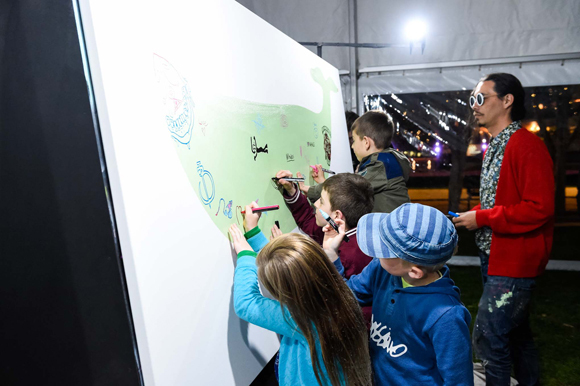 The project ran from 30 September to 30 October, and provided a much-needed boost for charity, with the four works created during the three-day live art event auctioned off on 27 October, with 100% of proceeds dedicated to nominated charity partner, Monkey Baa Theatre Company. 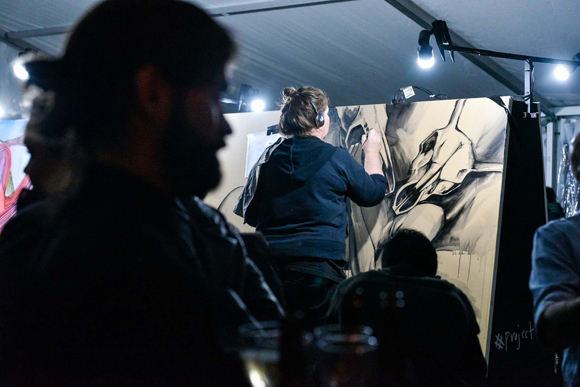 Project Five is an associated event of Art & About Sydney and in 2011 was awarded the Australia Council National Australian Business Arts Foundation Award in the category of Young and Emerging Artists.